DYXnet has established an ultra high-end carrier-grade connectivity among key Asian data centres (DCs) following its latest series of network enhancements. Riding on its robust and fully-resilient network backbones from different carriers, enterprise clients can deploy layer 2 or layer 3 services across a robust and stable network, enjoying shorter provisioning time and cost savings of as much as 50%. 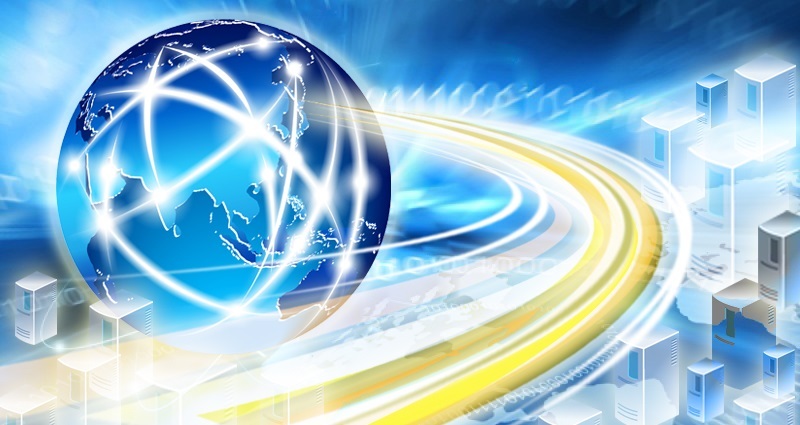 DYXnet last month launched its new 10G backbone ring between five Greater China tier-1 cities - Hong Kong, Beijing, Shanghai, Guangzhou and Taipei. This follows on from the merger earlier this year between DYXnet’s Virtual Private Network and 21Vianet’s Content Centric Internet Backbone (CCIB) units, which expanded DYXnet's network coverage to more than 200 Internet and network Points-of-Presence (POPs) in over 100 major Asian data centres. 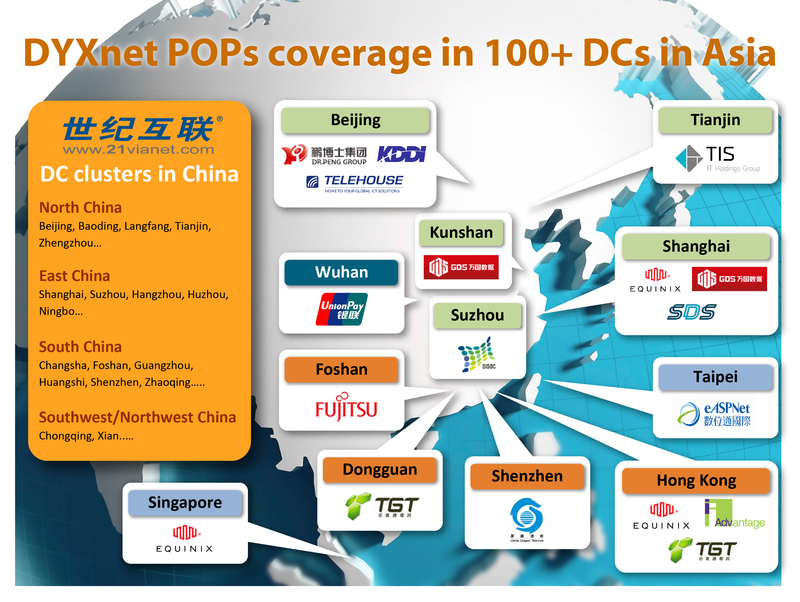 DYXnet operates over 200 Internet and network POPs in more than 100 key Asian data centres such as those run by 21Vianet, Equinix, Town Gas Telecom, GDS Services, Shanghai Data Solution, Suzhou International Science-Park Data Centre, Dr Peng Group, Fujitsu, Telehouse and more. For enterprise clients who now deploy DYXnet layer 2 service portfolios including Ethernet Virtual Private Line (EVPL) service, a point-to-point connection over a WAN as well as Virtual Private LAN Service (VPLS), multipoint-to-multipoint Ethernet connections and Multiprotocol Label Switching Virtual Private Network (MPLS VPN), a layer 3 service can allow them to avoid paying the network connection costs between their premises and DYXnet's network or the local loop costs. In addition, clients can more easily and efficiently deploy disaster recovery and data synchronisation services across our layer 2 network. “The world-class monitoring and service management by our network operation centre (NOC) ensures the quality of service and experience. We will continue to enhance our service quality to let clients have an extraordinary user experience,” he added.